Interest in bitcoin—in this case, bitcoin futures—increased significantly in the last quarter, according to data released by the Chicago Mercantile Exchange (CME). CME Group, operators of one of the biggest exchanges in the U.S. announced Wednesday, that it witnessed a rise of 41 percent in the average daily volume for bitcoin futures contracts for the third quarter of 2018 against the second quarter. 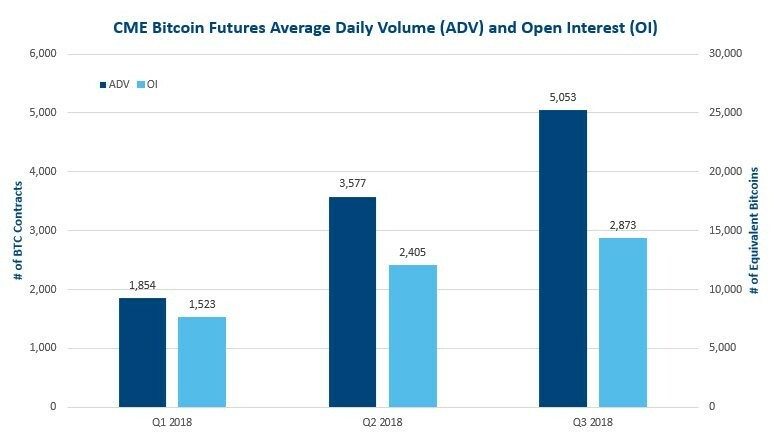 “In Q3, Bitcoin futures average daily volume rose 41% and open interest was up 19% over Q2,” the exchange wrote. The chart the followed showed that the average daily volume for the quarter (Q3) in review stood at 5,053 contracts, a 41 percent increase from the previous quarter (Q2) which was 3,577 contracts. Compared to the first quarter of 2018 when the first contracts were settled, the 5,053 contracts in the third quarter represents an increase of 173 percent on the 1,854 contracts daily average. The open interest (OI)—that is, the number of unsettled contracts or outstanding commitments at the time—followed a similar trend as the average daily volume. In the first quarter of the year, the OI stood at 1,523. It grew about 37b percent to reach 2,045 unsettled contracts in the second quarter and another 19 percent to reach 2,873 unsettled contracts in Q3, 2018. CME launched its bitcoin futures contracts on December 17, 2017, a week after neighbors CBOE (CBOE) launched BTC futures for the first time in the country. 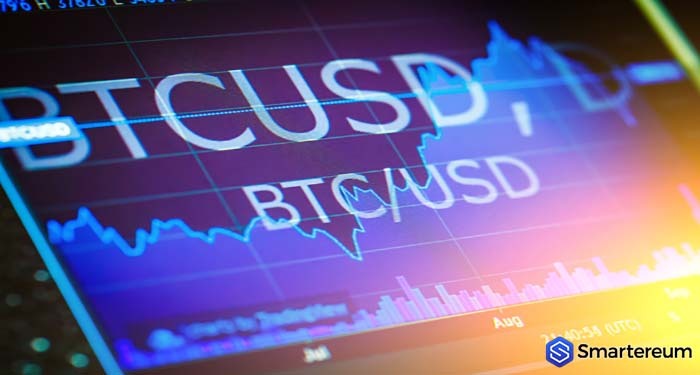 Soon after the Commodities and Futures Trading Commission (CFTC) approved Bitcoin futures contracts for CBOE and CME, the price of bitcoin rallied to a historic high of close to 20,000 USD. However, soon after the actual contracts went live, BTC prices crashed and is yet to near the heights of December 2017. This has not deterred investors from betting on bitcoin via futures contracts. As Smartereum reported, the average trading volume for bitcoin futures contracts on CME rose 93 percent in the second quarter compare to the first quarter. There have been calls for more cryptocurrency-based futures contracts especially an Ether [ETH] futures contracts. The CME for its part launched an index for ETH in May, fueling speculations that it was planning to launch ETH futures contracts. Earlier this month, CBOE came closest to offering ETH futures contracts in the U.S. as it financially backed newly formed crypto exchange ErisX, which plans to introduce futures contracts for altcoins including Ether, bitcoin cash [BCH] and litecoin [LTC].